Moore Abbey is located in Monasterevin, Co Kildare, Ireland. It was once the home of the Earl of Drogheda. He was a descendent of Garrett Moore who was a supporter of Hugh O’Neill, Earl of Tyrone. Today Moore Abbey is the headquarters of the Muiriosa Foundation (Sisters of Charity of Jesus and Mary). The Muiriosa Foundation provides a range of services and supports to persons with an intellectual disability. 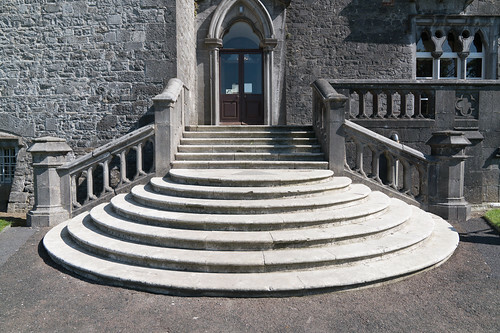 Moore Abbey was built by Charles Moore the 1st Marquess of Drogheda in 1767. It remained the home of the Moore family until the end of World War I. In 1925 Moore Abbey was leased to the tenor Count John McCormack. 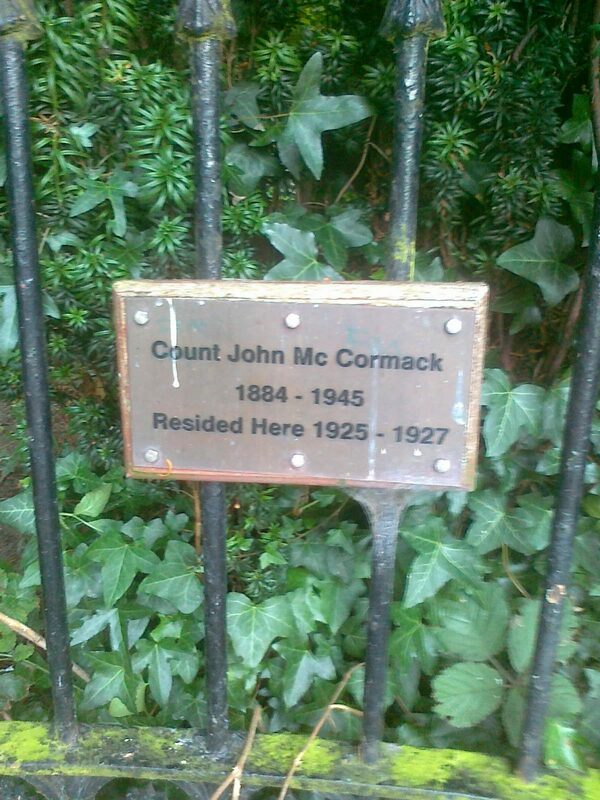 The McCormack family lived there until 1939. Shortly after the McCormack family moved out, Moore Abbey was sold by the 10th Earl of Drogheda to the Sisters of Charity of Jesus and Mary. Edward Moore the 5th Earl of Drogheda was among sixty passengers who died when the ship ‘The Dublin Trader’ sank in the Irish Sea in the year 1758 On This Day. 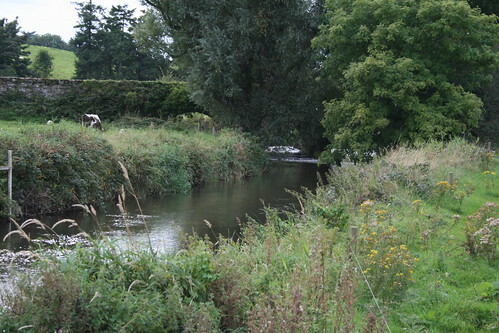 Location in Monasterevin where Mc Cormack lived before moving to Moore Abbey. 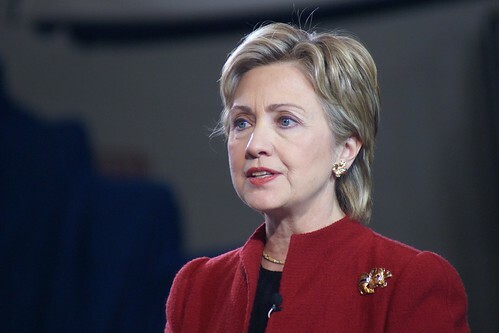 Hillary Rodham Clinton, former United States Senator announced in the spring of 2015, her intention to run for President of the United States of America in the 2016 presidential election. If she was successful she would have become the first female US President. She previously sought to be nominated to run for the Presidency in 2008 but was defeated by Barack Obama. Hillary Rodham was born in Chicago Illinois in 1947. She graduated from Wellesley College in 1969 and then attended Yale Law School. While studying at Yale she met her future husband Bill Clinton. Hillary Rodham graduated with an honours Doctorate in Law in 1973. During her time at college she became involved in politics. With Bill Clinton she campaigned for the Democratic presidential candidate, Walter Mondale during the summer of 1972. In 1974 she moved to Fayetteville, Arkansas to teach law at the University of Arkansas where Bill Clinton was also teaching. Hillary Rodham and Bill Clinton were married on October 11, 1975. They have a daughter, Chelsea Victoria, who was born on February 27, 1980. Hillary practised law and was first Lady of Arkansas during her husband’s terms as Governor. In 1991 she was named one of the 100 most powerful lawyers in America. Hillary Clinton served as First Lady of the United States during her husband’s terms as President from January 20th 1993 to January 20th 2001. Following her husband’s terms as President Hillary, Clinton became the first wife of a President to be elected as a United States Senator. She was sworn in as Senator for New York on January 3rd 2001. She was re-elected for a second term but decided to seek the Democratic Party nomination for President in 2008. She was defeated by Barrack Obama who, following his election as President, appointed her as Secretary of State in 2009. She served in the post during Obama’s first term as President, stepping down in February 2013. Hillary Clinton, who ran for election as President of the United States in 2016 was born in Chicago, Illinois in the year 1947 On This Day. Kilkenny Castle is located in Kilkenny City, Ireland. The Castle, part of which dates from the 13th century, is set in picturesque parkland. The Butler family were residents of Kilkenny Castle for over 500 years from 1391 to 1935. In 1935 the Butler family decided to sell the contents of the Castle and move to London. The auction was held over five days and raised over £6,000. Over 30 years later Kilkenny Castle was sold for £50 to members of the Kilkenny Castle Restoration Committee by James Arthur Butler 6th Marquess of Ormonde. Shortly after the restoration committee took possession of the Castle it was handed over to the state. The Castle has since been restored and is under the management of the Office of Public Works. 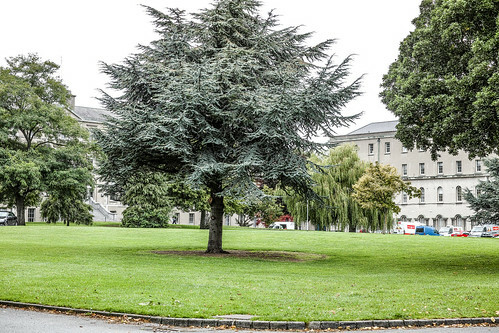 It is a major tourist attraction in Kilkenny and is home to part of the National Art Gallery. The 6th Marquess of Ormonde died in 1971. 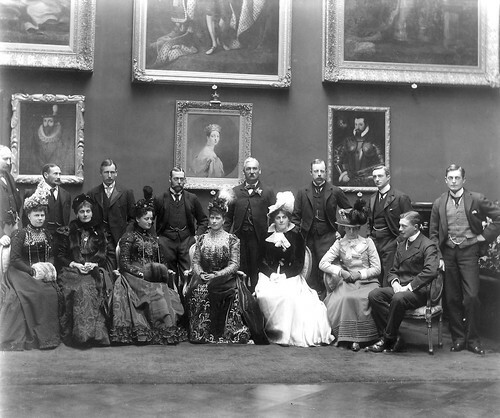 His cousin James Hubert Butler inherited his title becoming the 7th Marquess of Ormonde. The marquessate became extinct when the 7th Marquess died without a male heir 1997. James Hubert Butler, 7th Marquess of Ormonde and the last member of the Butler family to inherit the Ormonde titles died in Chicago in the year 1997 On This Day. Paul Cullen was born at Narraghmore, Athy, Co Kildare on April 29th 1803. He grew up on his parents’ 700 acre farm and attended the Shackleton Quaker School in Ballitore close to his home. At the age of 17, having completed his studies at Carlow College, he moved to Rome to study at the Pontifical Urban College. He was an excellent student, graduated with a Doctor of Divinity in 1828 and was ordained in 1829. Bishop James Doyle of Kildare and Leighlin (JKL) wanted him to return to Ireland. However Cullen was appointed to teach Sacred Scripture and Hebrew at the Pontifical Urban College in Rome. Three years later in 1832 he was appointed Rector of the Irish College in Rome. In 1850 Cullen returned to Ireland having been appointed Archbishop of Armagh. He remained in Armagh until he was appointed to the Dublin Diocese just over two years later. There was division among the Catholic bishops of Ireland over the National School system but Cullen was a supporter of the system and used his influence to implement reforms for the education of Catholic children. He was however opposed to the Queens Colleges which had been established at Belfast, Galway and Cork. He set about establishing a Catholic University the corner stone for which was laid in Dublin in 1862. Cullen convened the Synod of Thurles for the purpose of unifying the Hierarchy in Ireland and bringing the church into line with Rome. The ‘Romanisation’ of the church, as it was called, included rules relating all aspects of church life, from the administration of the sacraments to the maintenance of church archives. He also began the practice of priests being called ‘Father’ instead of ‘Mister’ and the wearing of the Roman Collar by priests. Cullen was responsible for the introduction of denominational training for teachers. 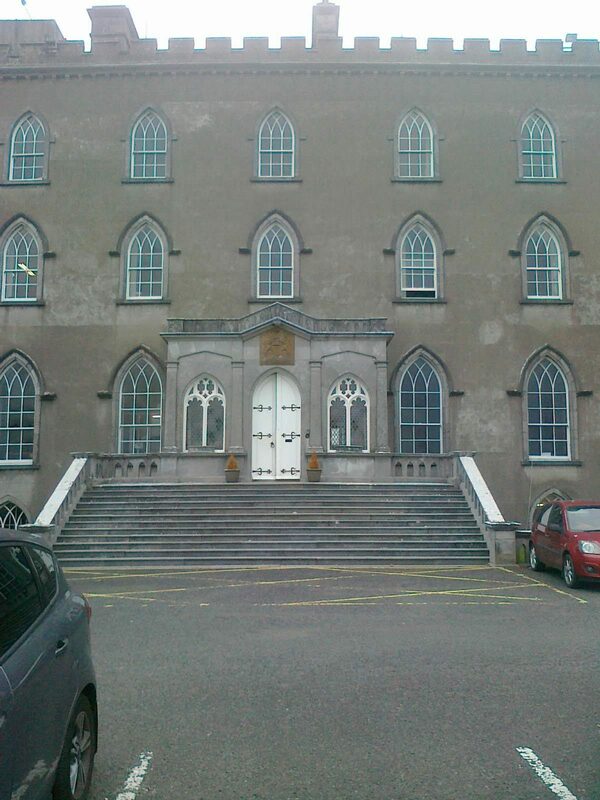 In 1854 he founded Holy Cross College at Clonliffe, the Dublin diocesan seminary. Cullen raised large sums of money to support the temporal power of the Pope and helped raise the Irish Brigade to defend the Papal States against Garibaldi. This was the Brigade that Myles Keogh from Carlow joined. Cullen was appointed a Cardinal of the church in 1866. He was opposed to secret societies such as the Young Irelanders and the Fenians. He believed in constitutional means and saw the secret societies as enemies of Ireland. He strongly defended the rights of tenants and was an advocate for the relief of the poor. With the Lord Mayor of Dublin he established the Mansion House Relief Committee in 1862. Cardinal Paul Cullen died in Dublin at the age of 75 in the year 1878 On This Day. The United Nations (UN) is an international organisation which has its headquarters in New York, USA. The headquarters was officially opened on January 9th 1951. The UN was established in October 1945. World War II had just ended and the UN was established to prevent another such conflict. 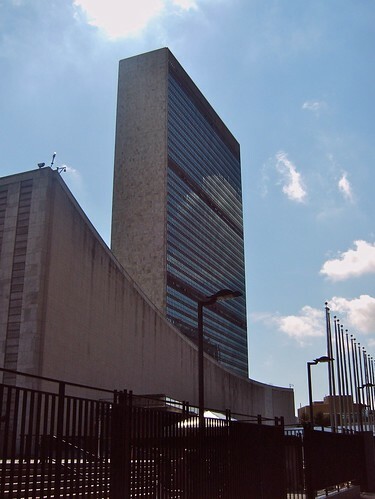 The headquarters building of the United Nations was designed by Brazilian architect Oscar Niemeyer. Located in the borough of Manhattan, construction began in 1948 and the building was completed in 1952. The site and buildings are extraterritorial under a treaty agreement between the Government of the United States and the United Nations. The cornerstone of the United Nations Building in New York City, USA was laid in the year 1949 On This Day.